Established in 1997, Zhejiang Zhink Group Co., Ltd. is a modern group company devoted to global development of two main industries—— PET and textile. In 2017, Zhink Group reached 12.4 billion yuan in annual output value. With more than 3,000 employees, Zhink Group is headquartered in Nobel Center, Qianjiang Central City, Hangzhou, Zhejiang Province. Its subsidiaries are located in Xiaoshan Zhejiang, Haining Zhejiang, Zaozhuang Shandong, Xuzhou Jiangsu, and Fuling Chongqing respectively. Zhejiang Wkai New Materials Co., Ltd., being a pillar industry , is an investment holding company of Zhink Group. Its other investors are financial groups like Japanese company Itochu. With more than 10 billion yuan annual output value, Wkai specializes in manufacturing bottle grade PET chips, which are raw materials for bottles applied in the area of food, oil, washing, medicine, sheet, and etc. In August 2018, Wkai signed “Fuling Chongqing” Project, and founded Chongqing Wkai Technology Co., Ltd.. In January 2019, with register capital of 300 million yuan and total investment of 3.6 billion yuan, Chongqing Wkai was put into construct. With one-time design and phased implementation, the project is contracted by China Kunlun Contracting & Engineering Corporation. Covering 800 mu, it is located in Longqiao Industrial Park, Fuling District, with more than 430 planned employees. Zhink Chemical Fiber Co., Ltd. is a wholly-owned subsidiary of Zhejiang Zhink Group, specializing in producing differential fibers. Zhink Chemical Fiber Co., Ltd. has been rewarded “Top 100 Enterprises in Hangzhou”, “Top 10 Import and Export Excellent Enterprises in Zhejiang Province”, “Excellent Foreign Trade Private Enterprises in Zhejiang Province”, “Golden Dragon Prize for Foreign Trade Enterprise in Hangzhou”, and other prizes. Zhink Supply Chain Co., Ltd., a wholly-owned subsidiary of Zhejiang Zhink Group, is a new industry of Zhink, which provide integrated warehouse solutions for e-commerce companies. At the first stage, the storage is 10,000㎡, and the daily delivery amount is 30,000. The storage at the second stage is aimed to be 40,000㎡. Shandong Zhink New Material Co., Ltd., a wholly-owned holding spinning company of Zhejiang Zhink Group, specializes in manufacturing polyester-viscose blended yarn, and now becomes supplier of major Chinese textile companies. In January, 2016, Shangdong Zhink New Material went public on NEEQ. The company is rewarded as “Key Industry Project”, “Model Enterprise of Innovative Management”, “Vice-president of Clothing Association”, and etc. in Zaozhhuang. Zhink Group’s headquarter “Nobel Fortune Center”, a 5A Class Office building, covering an area of 100,680㎡, is located on Haoyue Street, Qianjiang Century City, Hangzhou. Nobel Fortune Center enjoys a good geographical location, with northern side being Qingchun tunnel, southern side being airport expressway, and metro line 2, 6, and 7 in the vicinity. Guosen Securities, Everbright Jin’ou, Zhejiang University, Hilton Hotel, J.K. Life Insurance, Bank of Hangzhou, and some financial enterprises have set their offices in Nobel Fortune Center, which makes “Nobel” become an excellent building in Qianjiang Century City. Stay true to the mission, forge ahead with great passion. In the future, Zhink Group will still hold a diligent, humble, and innovative attitude to improve customers’ life quality, and realize company’s dream with the progress of the time. You guys! Welcome to Zhink Group! Time has witnessed the development of Zhink, as grew out of nothing and developed from a small company to a large modern group company. Today, Zhink Group has owned two main industries——PET and textile, with subsidiaries located in Zhejiang, Shandong, Jiangsu, and Chongqing, and business covering eighty countries in the world. I want to show my great gratitude to every single Zhink’s staff for your companions along the way, to my management team for your effective management and business strategies, and to government leaders and social partners for your support in these years, you all are the source of power in Zhink’s sustainable development. Being twenty years old is young enough for Zhink Group to restart achieving further progress. Let’s embrace a better Zhink, a better future, with a more positive mindset, a higher morale, a finer management, and a more scientific business plan. We believe that Zhink Group will be more brilliant in the next ten years! Chongqing Fuling's annual output of 1.2 million tons of PET project officially launched. Textile Smart Factory in Jingjiang base started operation. In 2016, Shandong Zhink Materials Co., Ltd. went public. In 2016, honored as Famous Enterprise in Zhejiang Province. In 2016, International Packing Industry Park was established. 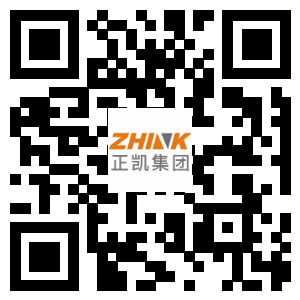 In 2011, Shandong Zhink New Materials Co., Ltd. was established by merger and acquisition.